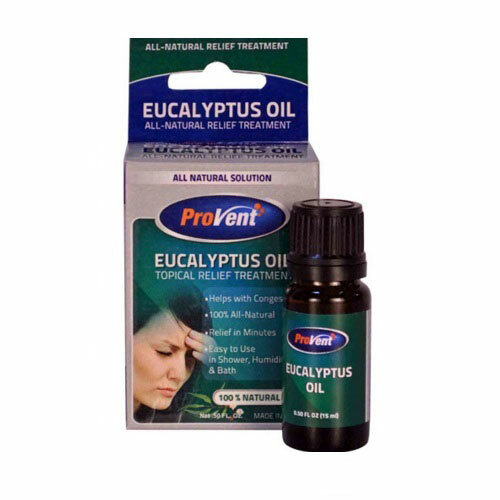 ProVent® Eucalyptus Oil helps with relief from congestion by opening up your sinuses for better breathing. Within this all-natural topical treatment, there are antibacterial effects on pathogenic bacteria in the respiratory tract, which help relieve the symptoms of influenza and colds. It works great in showers, baths, steams and humidifiers; just add a few drops in water, wash cloth or humidifier, and feel the congestion relief. Easy to use in shower, humidifier and bath.